The June 2017 Meetup of The Windows Developer User Group is scheduled for June 19th from 6-8 PM @ Improving Ohio Office. Please see details below & kindly RSVP. Over the last few years, Docker has popularized Linux containers, but Windows developers have been left out in the cold. This changes with Windows Server 2016. 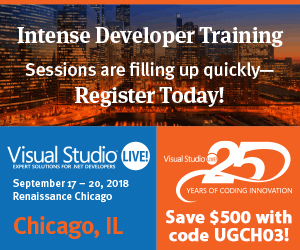 At this session we’ll cover the basics of the new Windows Server container model and how to develop applications/services that can take advantage of this exciting new advancement, for cloud, for on-prem, and for the future. Michael is currently Senior Software Development Engineer in Microsoft’s DX TED organization, where he engages deeply with select global ISVs to help them best utilize Azure’s features. Michael has over 13 years of experience with various consulting and technology firms where he was instrumental in leading and developing solutions for a wide range of clients. He has a vast amount of experience in helping companies determine the best strategy for adopting cloud computing, and providing the insight and hands-on experience to ensure they are successful. Michael is also a respected technology community leader, and is often found sharing his Microsoft Azure insights and experiences at regional and national conferences. Michael is also the co-author of a published book on Microsoft Azure entitled Microsoft Azure Essentials: Fundamentals of Azure.. Please RSVP on our Meetup site @ http://www.meetup.com/windowsdevug/. Come join us!